and I’m here to wash away the Line in the Sand. l have been following the story of Cecil the Lion for weeks now, but haven’t really had time to blog about it until now. So many lessons can be learned from the story, the outcry that followed it, and the increasing calls to ban trophy hunting and the like. The first thing is this: beware the wisdom of the crowd. Things are not always what they seem and sometimes, you need to hold back that initial reaction everyone seems ready to jump on to. The dentist killed a lion in Zimbabwe, who happened to have a name, a backstory and whatever else that Americans recognized. All of a sudden, the media backlash was on and they’re on this man’s case as if George Zimmerman was not out here balling freely on the wake of Trayvon Martin’s death. It took a lion to wake America up, to the point that PETA is calling for the Dentist to be hanged. However, on a closer look, it turns out that the Dentist thought this was a legal hunt and the whole thing about Cecil being the most known, most beloved darling of Zimbabwe, in fact a “symbol of the country itself”, turned out to be a long way from reality. Furthermore, the dentist in question has done more for lion conservation than millions of the people now hypocritically calling for his head. Apparently, he donates thousands of dollars annually towards conversation funds that maintain lion populations and habitats around the world in exchange for the right to hunt certain aging members of the lion population. Here’s how that works: when the population of the lions gets too much for their environment to control, the conservation agency usually has to cull the population somehow. One of those ways is to unceremoniously gather the aging animals and euthanize or kill them en masse. But then they figured, hey, if we offer these hunters the opportunity, they’d not only do this killing for us, they’d pay for the privilege. Seemed like a no brainer. So in effect the hunters have collectively contributed millions to support lion populations around the world. You can read about the whole thing more here. And now, with all the furor and the calls for banning trophy hunting, the people who are incentivized to keep the lions around are complaining that this is hurting them! Talk about ironies and unintended consequences, all because people would rather moralize from behind computer screens than learn the facts about the very thing they claim to care so much about. 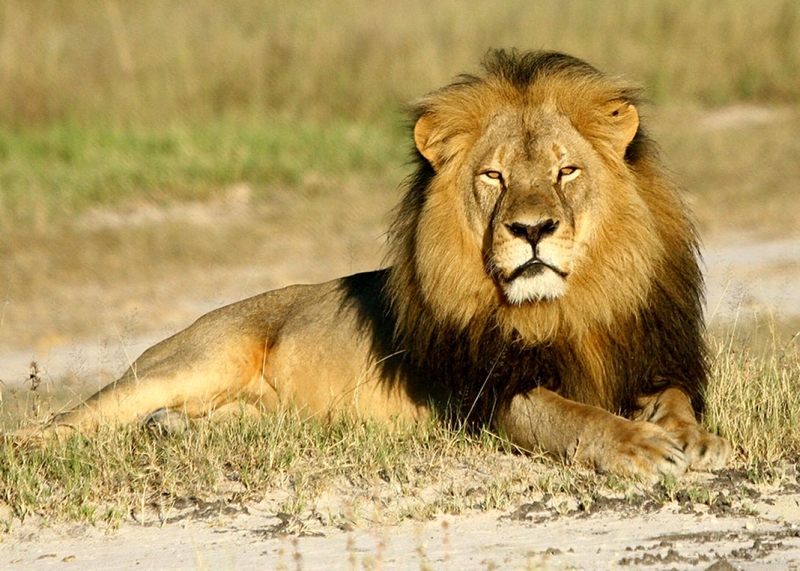 Which is not to say that morally, trophy hunting is justified. It’s not. But neither is hypocrisy. Let’s not stone a man when we’ve not taken the time to understand what he did or did not do. Let’s also understand that the media is not real. That there’s more than one side to a story. And that sometimes, it’s okay to swallow your outrage and not act on it. The second lesson to draw from this is that nothing is safe anymore, in the age of social media. People used to go on hunts, come back and write tales about it. Today, the world sees it as its happening, and people react to everything in real time. So, some things which might have been cool to do before, because no one was really paying attention, aren’t that safe anymore. All it takes is one day for the story to blow, and there will be nowhere to hide. Today, the dentists has had to close his office, get off the grid and into hiding because of the backlash that would have been unimaginable even a few years ago. So whatever you’re doing, just understand that one day, it could become global news. And since no one can do the right thing, the right time, all the time for their entire life, you better prepare for the day you will be washed in public. Warhol’s prediction was that everyone would get their 15 minutes of fame. What he forgot to predict was that we’d all get our own 15 minutes of infamy as well. There are a few business and financial lessons to be learned as well. But since I didn’t lead with that, I’ll write about that in a separate post. Previous PostHow is Dangote Bad for Nigeria? Let me count the ways. Next PostWould You Try This Brain Performance Enhancing Drug?